Good morning and good wishes. I am sending you this email because, although it primarily concerns an event which took place this St. Paddy’s day in Dublin’s unfair city, Sheffield’s Steel City got quite a mention and was duly given a not inconsiderable plug. So too by the way, did the prophet Jeremiah, The Patriarch of Ireland, and whenever pondering about Jeremiah, as I often have occasion to do, your previous deployment of a public prayer of ‘Peace of The City’ taken from Jeremiah 29:7, quite often comes to mind. 29:7 And seek the peace of the city where I have caused you to be carried away captives, and pray unto the “I AM” for it: for in the peace thereof shall ye have peace. 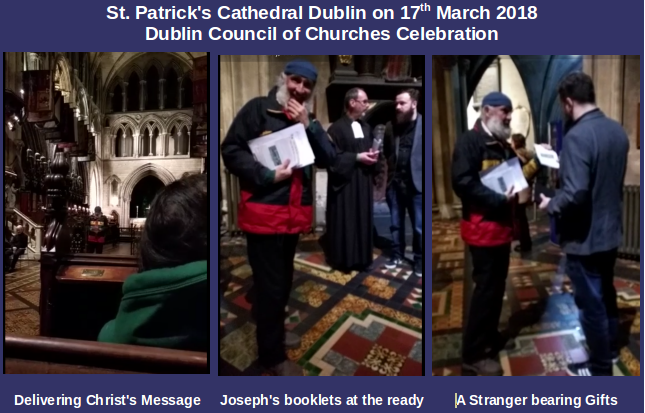 Doubtless you’ll recognise the Joseph Booklets in the above pictures, as you’ll recall I gave you one when last we spoke. You more than most will understand the Sheffield connection here, especially after you received The King of England letter, as addressed specifically to you from Crown Prince Michael, JAH, otherwise known as Christ in His First, and Second Coming. Every picture tells a story, and seen from a vantage point of Colin Thunhurst’s Class of 1984, Sheffield indeed remains a city of stark contrasts. 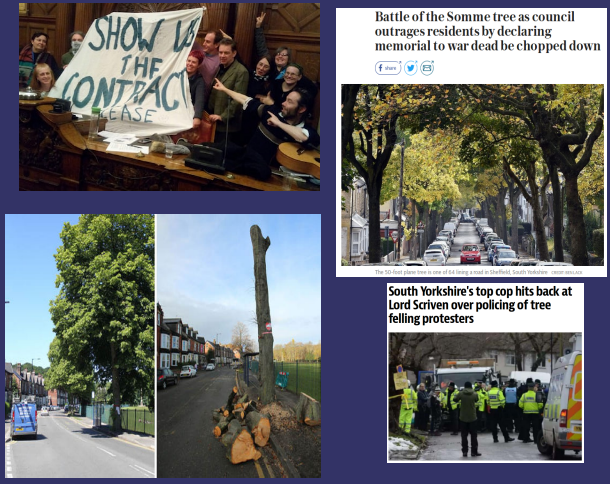 Above, we see a Zionist Controlled British Broadcasting Corporation quoting Alison Teal’s opponents from Sheffield City Council, who seem hell-bent on destroying UK’s greenest city, and still we pray, “Peace of The City”. I watched this short video today of South Yorkshire Police arresting a 73 year old former fireman named Alan Simpson. Only in a lunatic asylum could this happen. Any hope that there might be some little bit of good lurking somewhere in your police force police, died today. Under your regime, things now seem to be going from bad to worse. 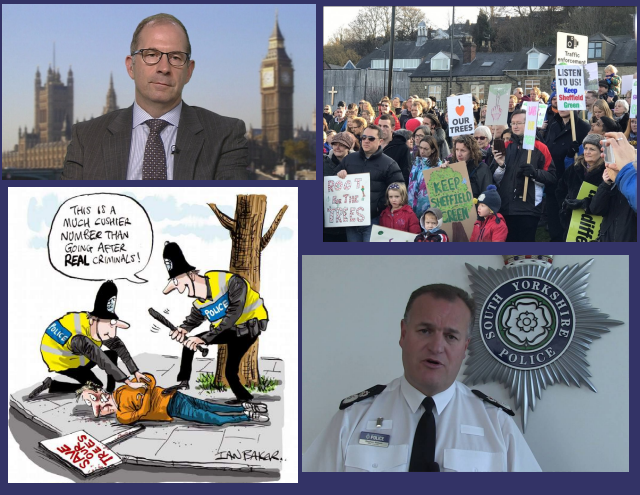 We evidently see an escalation of a ‘Rich Picture of an Ignoble Lie’, as South Yorkshire Police, and the all the bogus terror threat propaganda blogs emanating from the SYPCC office, blatantly do their worst in fulfilling Adrian Teague’s infamous quip from the class of 2010, namely: ‘We’re just the government foot-soldiers ‘, and still we might pray, “Peace of The City”. And before your SYPCC back-office staff ask, my answer is YES, ABSOLUTELY, you have my express permission to pass this email / article on to whomever you wish. 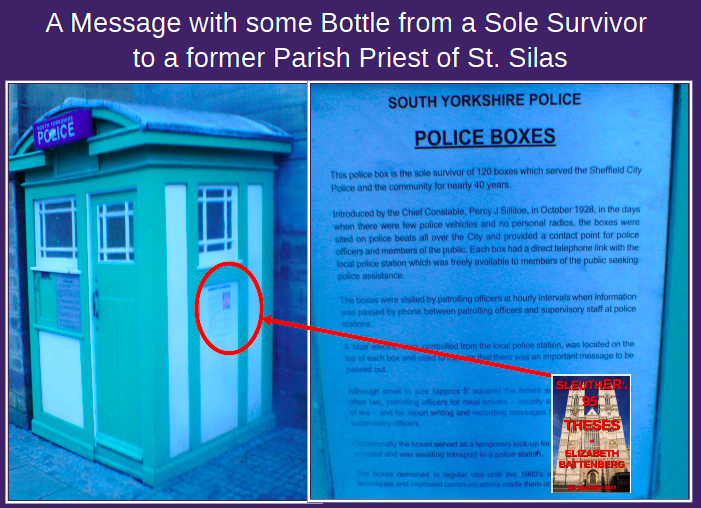 Perhaps your Chief Constable might appreciate some spiritual nourishment, especially if he is feeling a little fragile? He might just want bucking up a bit, given the very public and peaceless squabble he’s currently experiencing with ‘lord’ Scriven, and still we pray, “Peace of The City”. 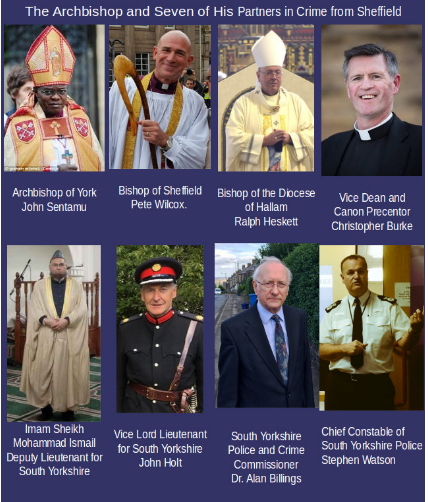 Your police chief and your friends in Sheffield City Council’s corridors of power are jointly and severely working in direct opposition to God’s Law, and you seem at best powerless, or at worse unwilling to lift a finger to put away the evil from among you. And still I can hear you pray, “Peace of The City”. If there’s EMPATHY to be had for my dear Watson, it is this: the individual is handicapped with coming face-to-face with a conspiracy so monstrous he cannot believe it exists. 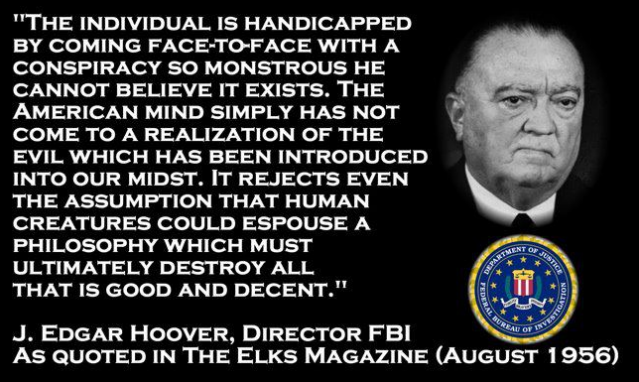 The British mind simply has not come to a realization of the evil which has been introduced into our midst. It rejects even the assumption that human creatures could espouse a philosophy which must destroy all that is good and decent, and still I can hear you pray, “Peace of The City”. 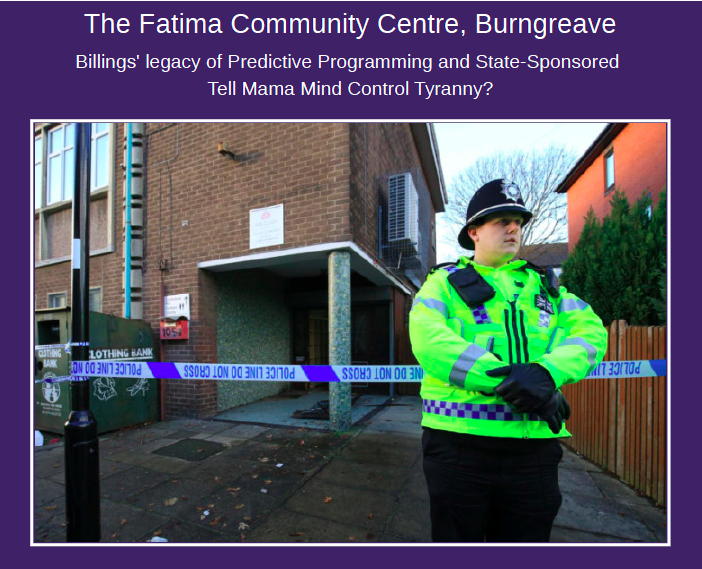 These days, in Police State UK, seldom will any Chief Constable be singing from the same hymn sheet as mine, but one never knows, if you forward this email to the Chief, it might just remind him of The Truth I once shared with him, when you all were gifted with some close encounters of an ecclesiastical kind, back in October 2017. “Christ said not for a generation (40 years) would he claim his Rightful Throne, the British-Israel Throne of David. On 13/June/1988, 40 years from the Fig Tree putting forth its new shoots in 1948, Christ served a High Court Writ upon the British Parliament, at court in the City of Sheffield, where his new body had been born in 1948, as prophesied, demanding that he be acknowledged by Parliament as the Rightful British-Israel King. Just as happened 2000 years before, when he was rejected by the “House of Judah”, Christ was again rejected but this time by the other branch of Jacob-Israel’s children – the “House of Israel”. And still I can hear you pray, “Peace of The City”. It’s often said that a picture paints a thousand words, and since Christ’s advice to you in his previous King of kings’ letter fell on such deaf-ears, and my own efforts to help you discern Truth from falsehood, and right from wrong, have seemingly not made one iota of difference, you might not be able to resist taking a glimpse at this collation of poignant images, while pondering over Edgar Hoover’s words, Jeremiah 29:7, and your customary thought for the day. I remember the late Paul Broadbent well, he quoted a lot from Sun Tsu, and The Art of War, and on that subject, you might wish to watch this amazing lecture from Professor Walter Veith. 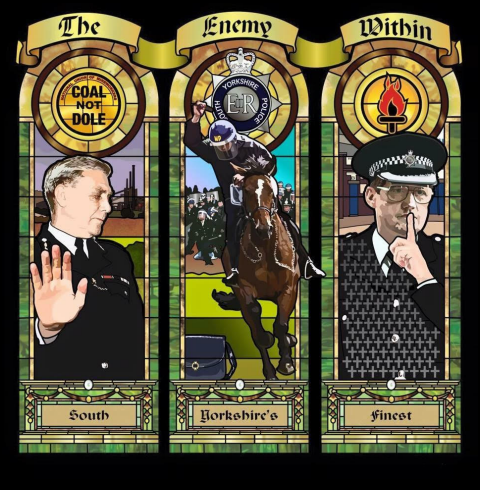 Watson’s predecessor, and the top cop who came back and seemingly beat you in the High Court, once threatened me over the above pictured “collision of minds”. 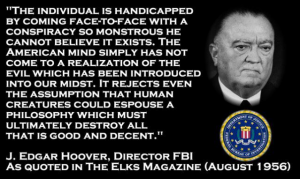 Merely showing empathy towards me, does not put away the evil from within our midst. Please note well that the Hill of Tara, is in the background where The Ark of The Covenant rests. What is it about Wyggeston Grammar School for Boys? A Treasonous Home Secretary complicit in The London Bombings under Tony Blair. In fairness to Christ, Crompton was given every opportunity to engage with Christ and get His help. Finally, dear Alan, as I am sitting here in The Emerald Isle, applying my mind to how best to finish this article, I’ll end by leaving you with a thought for the day. Sheffield is playing out an important role in these end times. 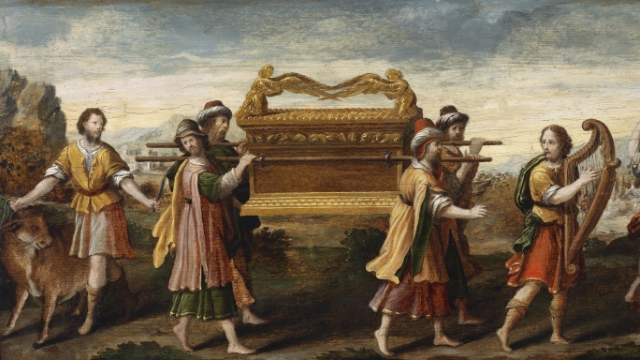 Priests, Police, and Politicians, alike, are all however, foolishly shunning ELIJAH. Now if you were today to ask me this question. ‘Tony what would be the first thing you’d practically do, if you were suddenly today thrust in my position as SYPCC? I would say this. 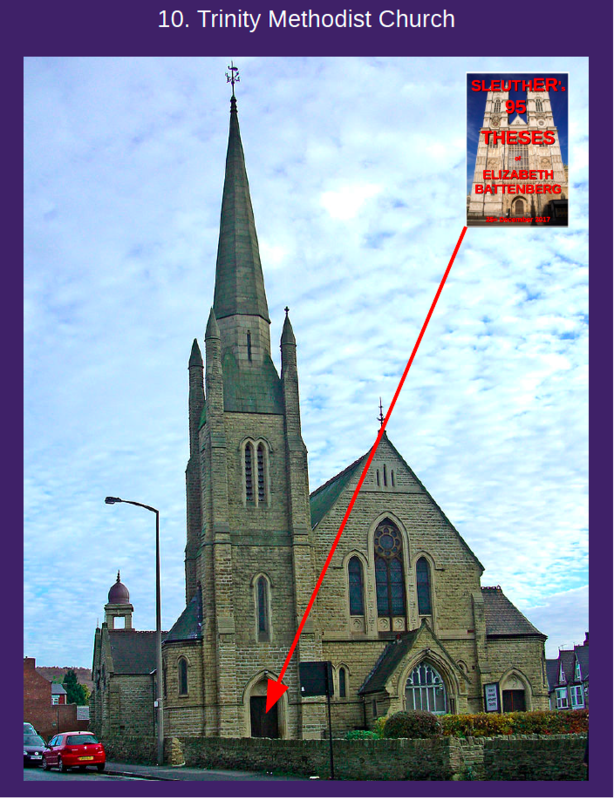 I would attend this Roman Catholic Cathedral service in Liverpool in less than one month’s time and announce from the pulpit to the still grieving relatives, that Hillsborough was deliberate blue murder, because it was planned, and South Yorkshire Police were MEA CULPA of helping The Tories pull it off, and get away with it for almost thirty years. Please read Christ’s all important MESSAGE, as given to the Dublin Council of Churches. Christ’s message applies equally to The Anglicans and Roman Catholics alike. A message from Christ to the fourteen members of the Dublin Council of Churches. Peace be within you Alan, and peace be upon our city. Although this letter relates to the enforcement of The Law, it is more of an ecclesiastical concern than a policing issue, so apologies in advance for using your SYPCC office email address to contact you. The letter’s purpose is to bring to your attention, one of a series of publicised letters from Christ and a 95 Theses from Martin SleuthER. This particular version of the letter from Christ has been specifically compiled for Sheffield, and it has you as the main recipient with others from the clergy copied in. 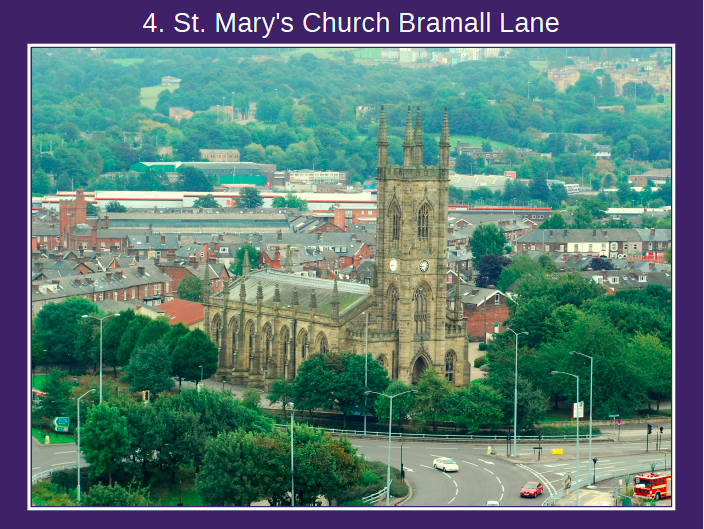 Christ’s letter contains a seven-point requirement for all churches in Sheffield. However, please note, Sheffield is not being singled out in isolation. On the contrary, you are in somewhat familiar company, as The Archbishop of Canterbury and The Archbishop of York, via Bishop James Jones, have each received their own versions. Further afield, Scotland, Wales, Ireland and Malta have also been alerted to varying degrees to both their own separate versions of Christ’s letter and Martin Sleuth-ER ‘s 95 Theses on Elizabeth Battenberg. For Sheffield, as the city where the body of Christ in His Second Coming was born in 1948, you just so happen to have been my recommended recipient of first choice for receiving both documents. Your selection owes much to the fact that you have already exchanged correspondence with Christ, albeit with an underwhelming outcome. Setting aside our disappointment in you, I still remember well how you once publicly cited a prayer from the Old Testament Prophet Jeremiah in making a call for peace in the City, just prior to your successful first-time election into the position of police and crime commissioner. In writing, I also wish to inform you specifically that a Public Notice has recently been mounted on doors in various buildings within Sheffield. 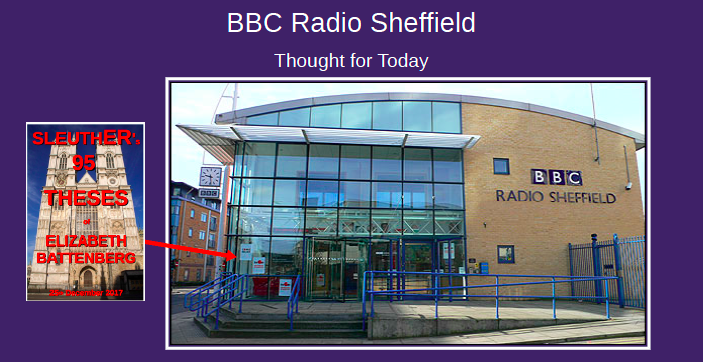 Buildings include the following: the local BBC Radio Sheffield Studios; a Mosque of considerable mutual interest; twelve of the city’s churches; and with you very much in mind, a sole surviving Police Box located outside the Town Hall. I trust you appreciate that little gesture dating back from our respective times spent working for Sheffield City Council at The Town Hall. 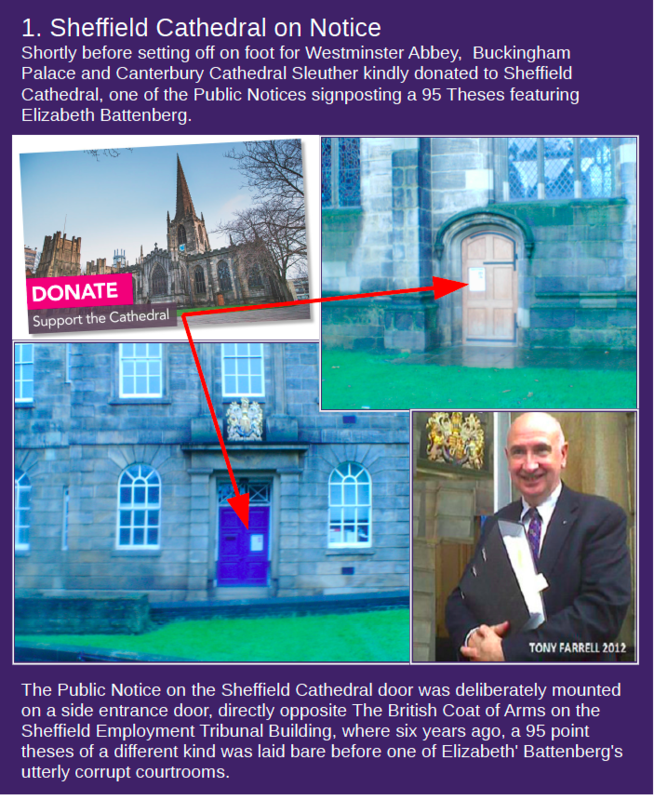 The Public Notice signposts Martin Sleuther’s 95 Theses, which features none other than Elizabeth Battenberg, and I strongly urge you to read and digest its contents. You will see that Sleuth-ER’s 95 Theses was initially unleashed upon Westminster Abbey at 4 a.m. on Christmas Day 2017, exactly sixty-seven years after Jacob’s Pillar/The Coronation Stone was removed from The Abbey by four Scottish Nationalists in accordance with Bible Prophesy. If my maths is correct, you would have only been six back then. Finally, since you appear to have become rather adept of late at merely noting things from me, rather than doing the right thing, I will on this occasion refrain from making further recommendations for you. Instead however, because you still publicly proclaim to follow the Teachings of Christ, I am more than happy to pass on a message that JAH, The Lord, Christ in His Second Coming would like to invite you personally to Ireland, to meet with Him, so that the “Seven Requirements of The Churches of Sheffield” can be discussed in more detail, and so that you can learn the TRUE Teaching of Christ from Christ Himself, instead of the satanic nonsense you’ve been taught in seminaries. This would be in relation to the City of Sheffield, and the role of The Church of England, at an important phase during Christ’s Second Coming. 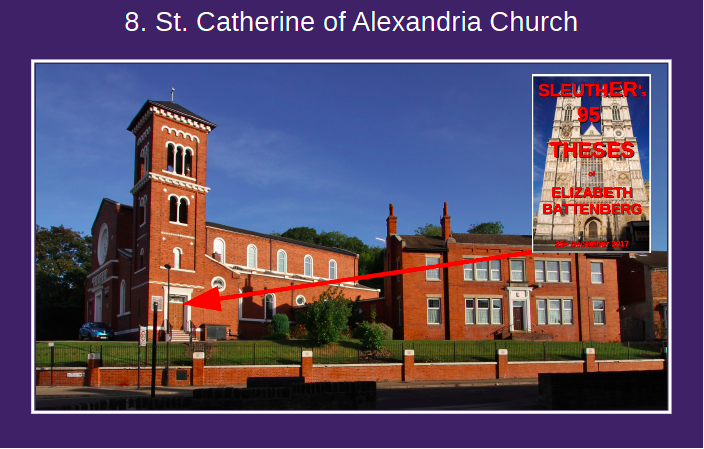 The ongoing fraudulent practice of both the church and state in relation to the fake stone, as used during Elizabeth’s fraudulent coronation ceremony, on 2nd June 1953. Please note this is the same fake stone / throne currently on show in Edinburgh Castle, serving no other purpose than to dupe the British public about The Throne. 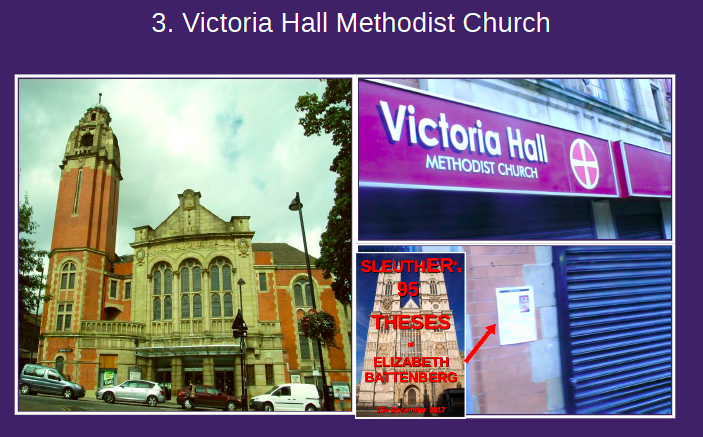 With immediate effect, collectively, the churches in Sheffield must publicly call for ELIZABETH TO GO, and simultaneously demand that the rest of the corrupt and obscenely self-indulgent fake British Monarchy step aside in favour of Christ in His Second Coming. Failure to heed this imperative, will soon bring down The Wrath of God down upon not just on the city of Sheffield but also on the Anglican church and the church of Rome. 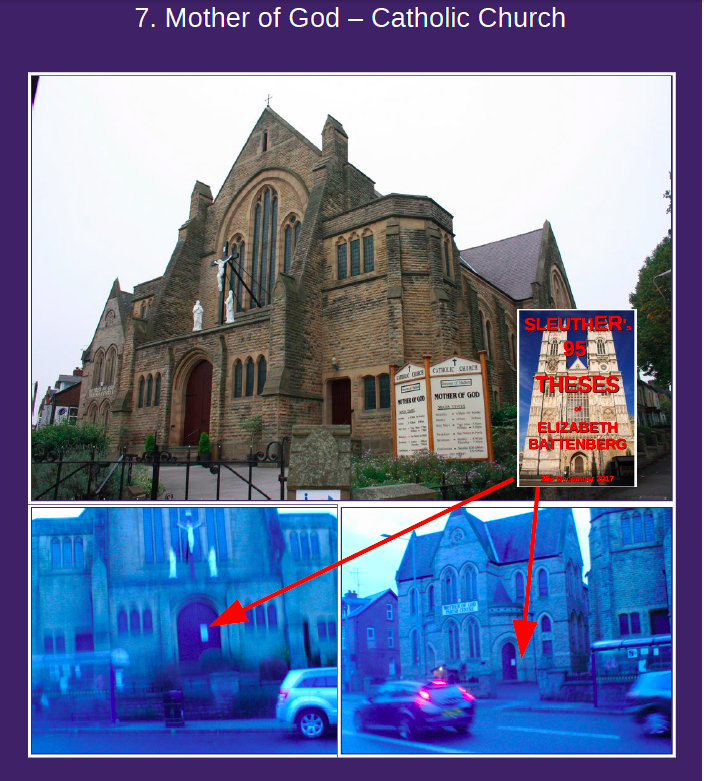 Collectively, the churches in Sheffield must cease all the deceptions which merely serve to hide the true identity of the British people from the public at large. 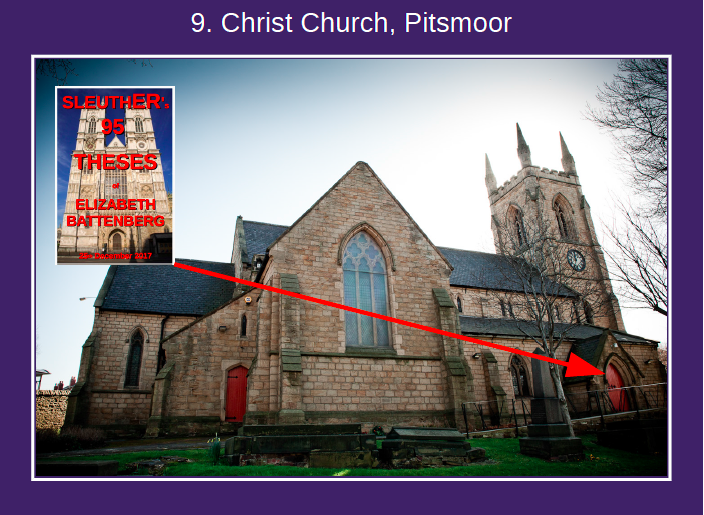 The churches in Sheffield must publicly recognise that The British are The True Israelites, The People of The Covenant, and that the English people (Anglo-Saxons) descend from Jacob and Joseph / Ephraim and form an integral and pivotal part of the ten lost tribes of Israel. 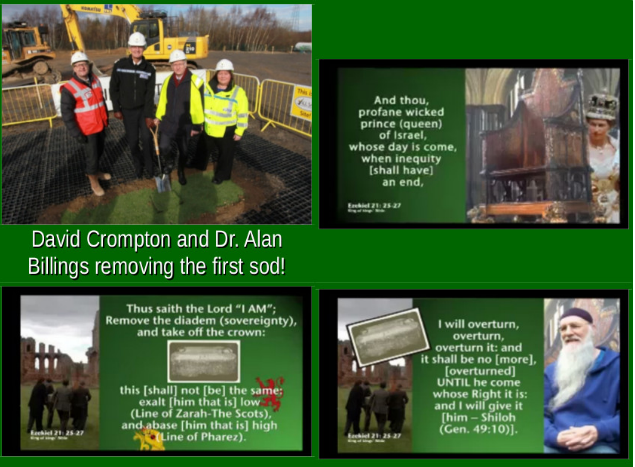 Collectively, prior to Elizabeth’s forthcoming abdication, as prophesied in Ezekiel 21:25-27, and others like Nostradamus and Columba, the churches in Sheffield must impart an unequivocal message to The British People, that JAH, Christ, in His Second Coming, needs to be given His Rightful British Israelite Throne which was first claimed in Sheffield on 13th June 1988. Strictly keeping all of GOD’S Commandments, as given to Moses at Mount Sinai, and as reinforced and added to by Jesus Christ two thousand years ago. Strictly adhering to Christ’s messages contained with The Way home or face The Fire, which is The White Stone of Revelation 2:17. GOD‘S LAW and GOD‘S LAW alone, must become the Law of the Land. There must be zero-tolerance of anything conflicting with GOD’S LAW. That necessitates discarding all the existing man-made legislation introduced under Elizabeth’s fraudulent sixty-five year old reign, as well as under previous monarchs. 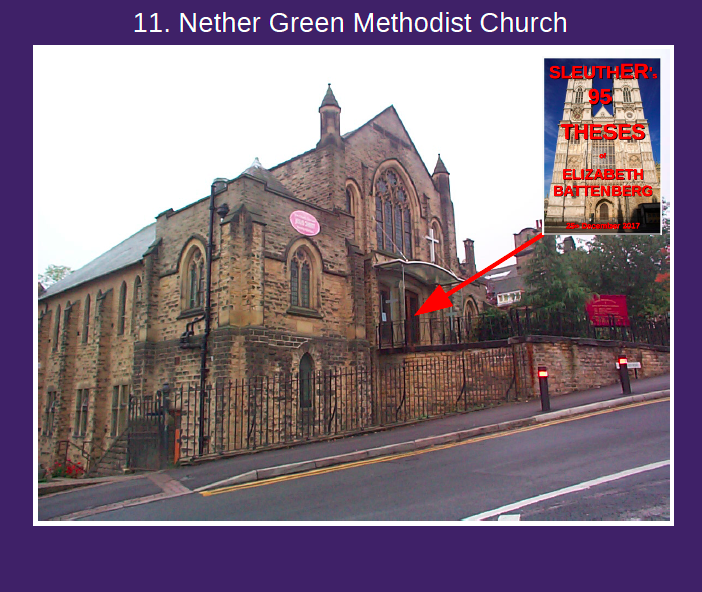 Collectively, the churches in Sheffield must repent before CHRIST for all their erroneous ways in leading their flocks astray about GOD’S LAW, by falsely teaching, over the course of modern history, that it has been abolished. Instead of using churches for all your false teachings, dished up with an array of traditional hymns and rituals, many of which are blasphemous to GOD, all church buildings must be handed over to Christ and used instead as Community Centres, and for the community to learn THE SONG OF MOSES and THE SONG OF THE LAMB.